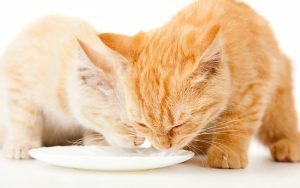 Most cats are lactose intolerant, not being able to digest milk and other dairy products, as it may hurt their stomach leading to digestive issues alongside other ailments. If you are wondering to shift to lactose-free products like coconut milk, then stop doing so as it is also not safe for your felines to have. Though coconut milk might not lead to diarrhea, it is high in calories increasing the risk of obesity if had on a regular basis. Moreover, the milky substance present in it might also be hard to digest in some cats. Though there should be not much to worry if your cat has licked a little coconut milk, contact your veterinarian at once in case it experiences discomfort or shows symptoms which are not normal. Published on January 12th 2018 by Maxi Gold under . Article was last reviewed on 12th January 2018.